There are a few luxury lodges you must visit before you die. And there are several in Australia I have wanted to stay at for a very long time. You know, the luxury lodges located in a remote setting, hidden amongst rugged landscapes, designed to incorporate its surroundings and make you feel at one with nature. 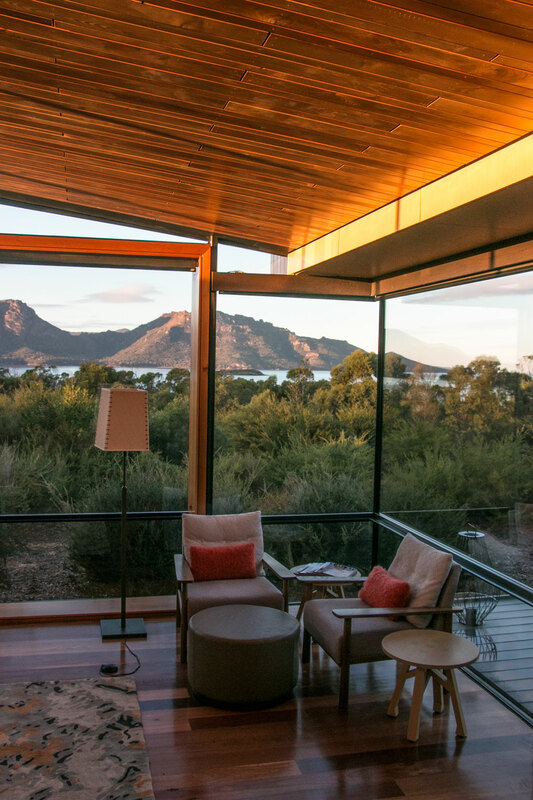 On top of that list is Saffire Freycinet in Tasmania, Australia. When I found myself checking-in for a three-day winter escape recently, I honestly had to pinch myself and stop my jaw from dropping to the ground everywhere I looked. So why do I think you have to visit this luxury lodge before you die? Read on to find out. 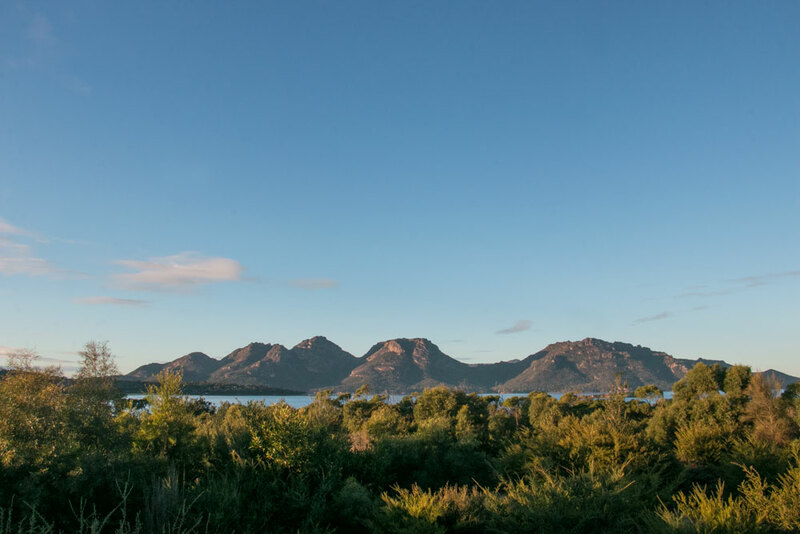 ITS LOCATION Undoubtedly, the best thing about Saffire Freycinet is its location. 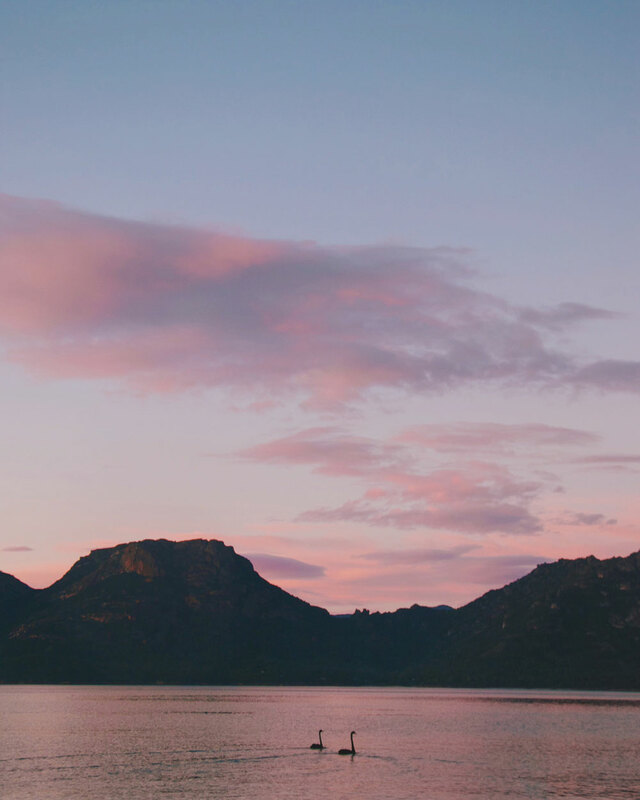 Located in the heart of Tasmania’s wild and romantic east coast, on the edge of Freycinet National Park, Saffire is a sanctuary amongst sanctuaries. ITS DESIGN Designed by Circa Architecture, Saffire does exceptionally well by blending it’s design, both exterior and interior, with the environment in which it finds itself. 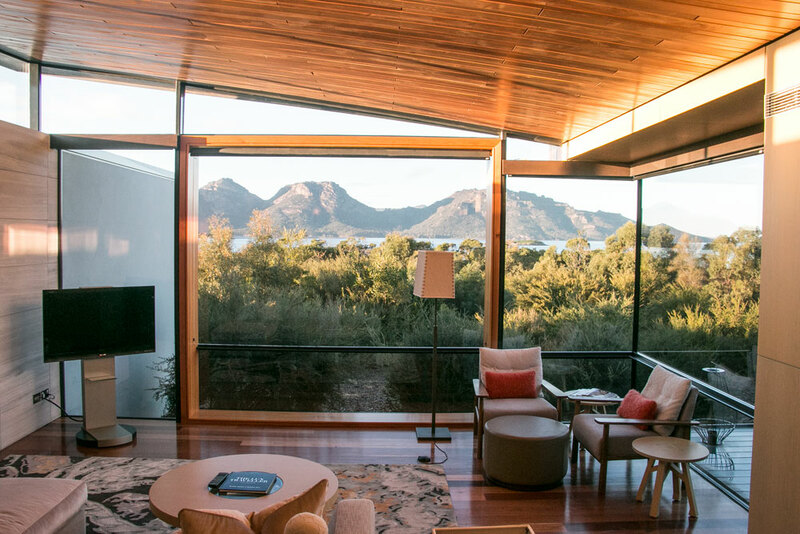 Offering 20 suites from deluxe, luxury and premium, they are arranged so that each has a private view of Coles Bay and Freycinet National Park. We stayed in the Mayson lodge, one of the very few premium rooms available to guests. 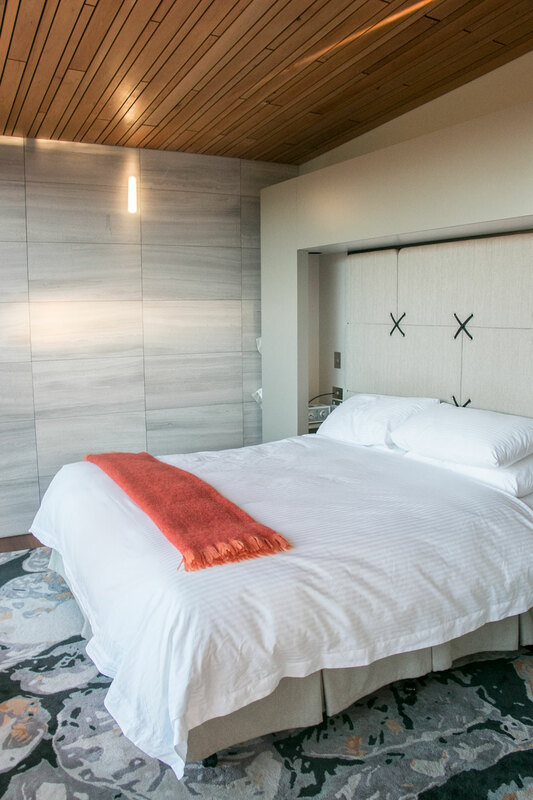 With a fully equipped kitchen, a study nook, dining table, lounge and television, separate toilet, master bedroom and a large bathroom with a bathtub, a private heated dipping pool and a large deck overlooking the Freycinet National Park, it’s very easy to switch off and simply enjoy being present and in the moment. To me, this is perfection. ITS PRIVACY As soon as you turn into the private road that takes you down to Saffire, one thing is apparent – it’s a retreat for guests only. Security cameras keep an eye and upon arrival at the front of the main building, a member of staff enquiring about our stay welcomed us. I have to admit; I love this because it means there is no more than 40 or so other guests on the property at any one time. Marvelous! ITS SERVICE The service at Saffire is second to none. 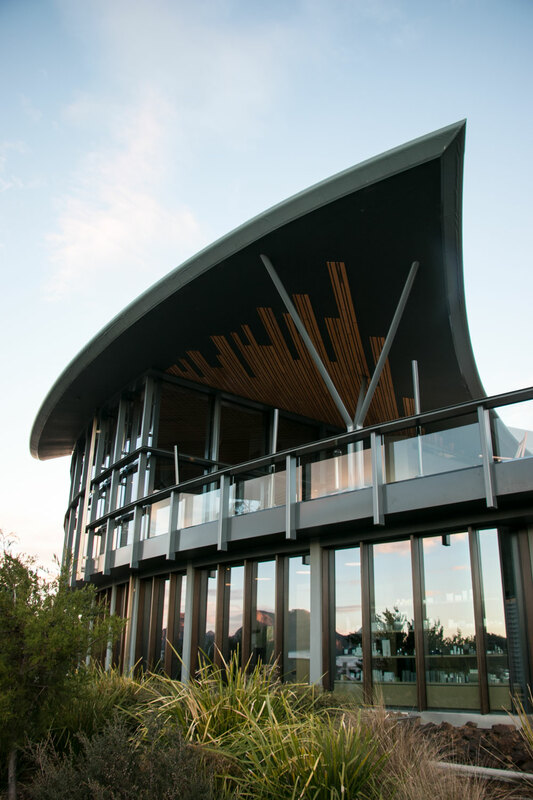 Upon arrival, we were handed a glass of local Tasmanian bubbles and shown to the meeting point inside, which overlooks the Hazards – the five mountains, which make up Freycinet National Park. Then throughout our stay, we were made to feel very warm and welcome. ITS DINING Saffire is an all-inclusive experience, which means meals and drinks (including alcohol) are included in the rate. But don’t expect mediocre food and lukewarm buffets, because you won’t find that here. Instead, expect five star dining using local ingredients for breakfast, lunch and dinner. In fact, you can eat and drink as much, or as little as you want. Oysters? You can have one or 100 for dinner. 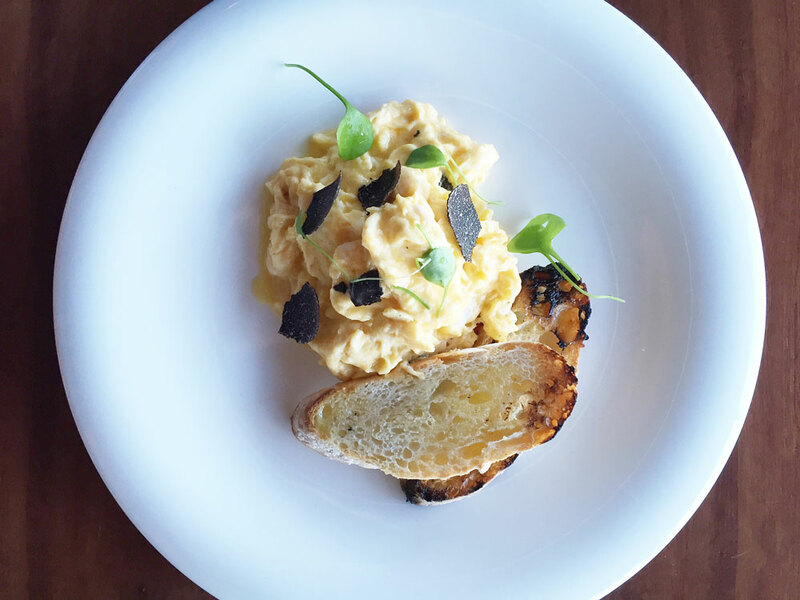 For breakfast, one of my favourite dishes was the creamy scrambled eggs, with shaved Tasmanian truffle and grilled ciabatta bread. For lunch, a selection of salads is served alongside a choice of two main courses. I loved the grilled red capsicum and white anchovy salad with micro herbs serve with sliced rare roast beef, shaved horseradish and crunchy kale. 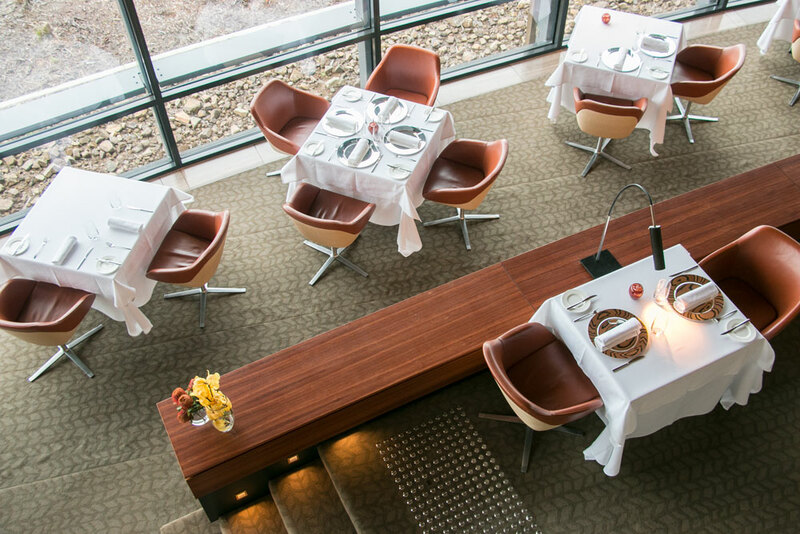 For dinner, guests can choose from a six-plate degustation course with wines to match or from the three course menu. We did both and never walked out feeling overly full, which goes to show how well the world class chefs at Saffire know how to look after its guests. It’s a remarkably restrained and utterly scrumptious foodie experience. ITS SPA & GYM A holiday at a luxury lodge is not complete until you have booked a spa treatment and hit the treadmill at the gym. I indulged in a full body massage and used the gym each morning to ensure I don’t get back home after my winter retreat feeling unfit. It’s a must when I travel! ITS ACTIVITIES Even though we only had a few days at Saffire, we still managed to fit in a visit to the Freycinet Marine Farm where we saw how locally grown Pacific Oysters were produced (we might have also enjoyed a bottle of bubbles as well). As the lodge is located on the edge of Freycinet National Park, we spent one afternoon hiking to the top of the Wineglass Bay Lookout and went off piste to do some more exploring. The lodge also offers private guided walks, which is great for learning more about the local flora and fauna, as well as the history of the area. We also managed to sneak in a visit to the Tasmanian Devil sanctuary, which is located on the property at Saffire. We learned about the little retired carnivore cuties and saw them grapple at their dinner on dusk. 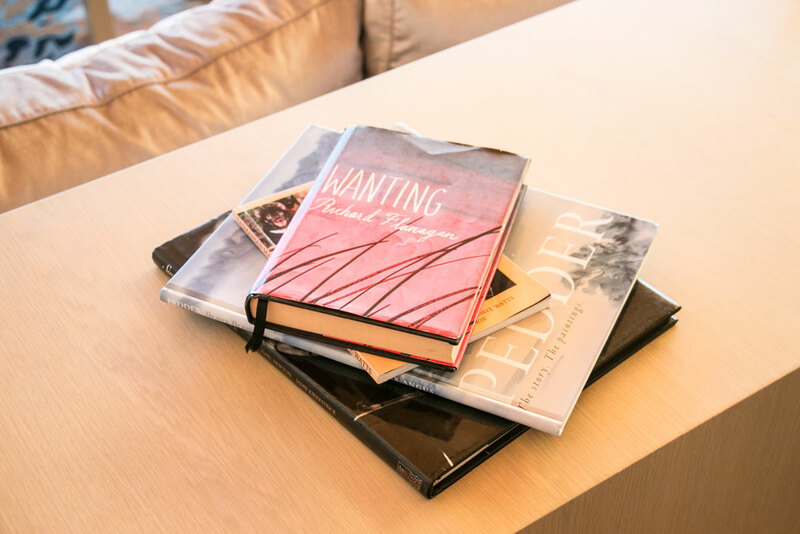 In fact, all of the above activities (and more)are included in your stay!